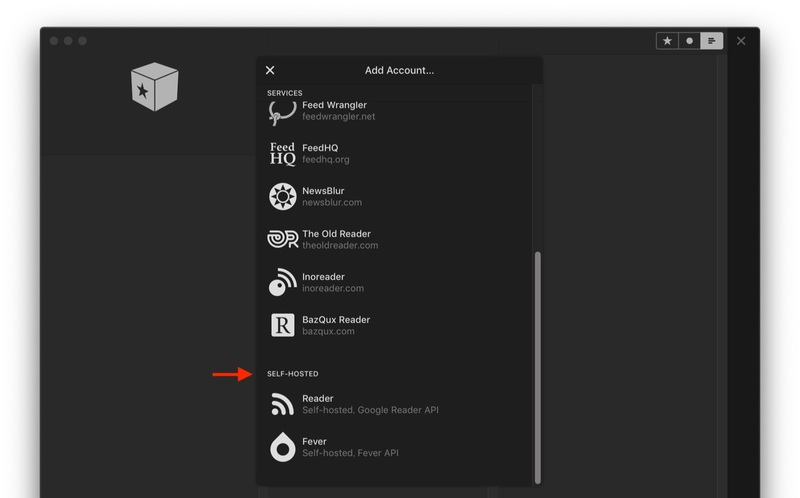 Google Reader/Fever APIを利用したセルフホストサービスや新しいジェスチャーをサポートしたRSSリーダー「Reeder v4 for Mac」のBeta 10が公開。 | AAPL Ch. 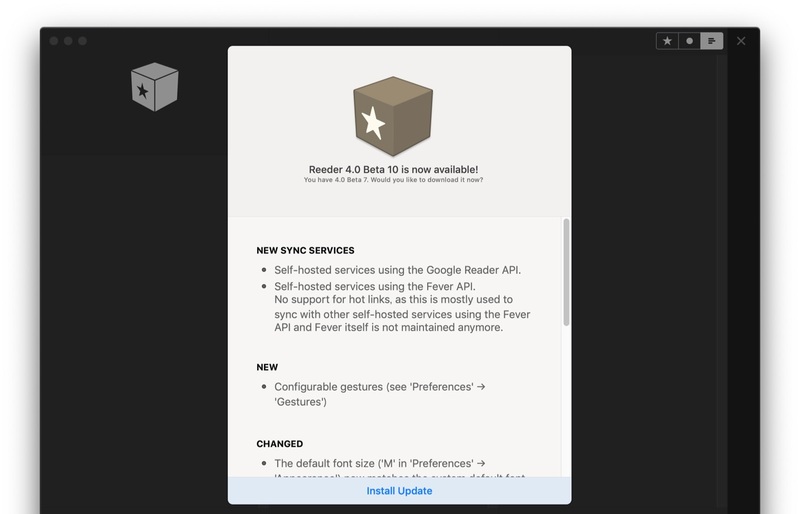 Self-hosted services using the Google Reader API. Self-hosted services using the Fever API. No support for hot links, as this is mostly used to sync with other self-hosted services using the Fever API and Fever itself is not maintained anymore. 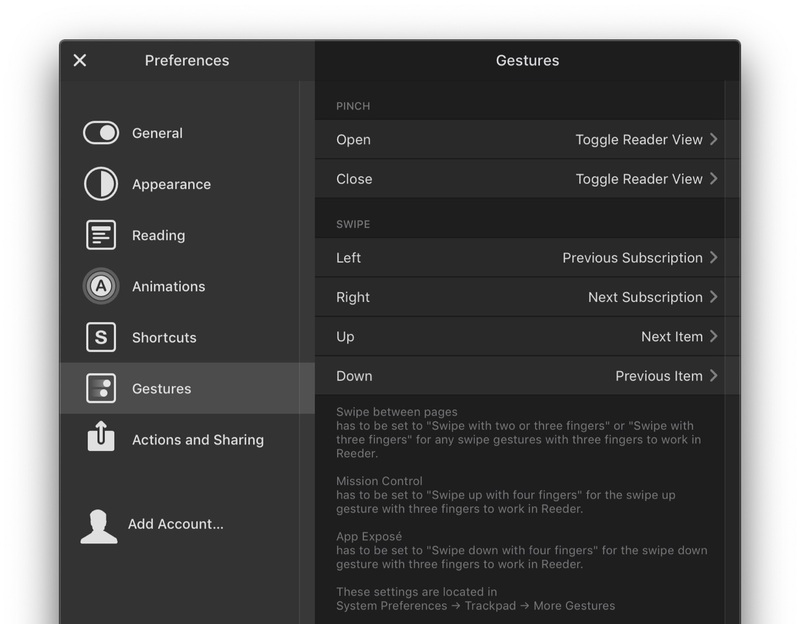 Improved display of sharing service icons in toolbar (bigger and grayscale). Open in-app browser when ‘caps lock’ is on is now a setting, default off. Keyboard navigation performance issues. Should be a lot more responsive now.